Kayla Braxton talks to Big E and Xavier Woods, who back up Kofi Kingston in his quest to capture gold tonight. 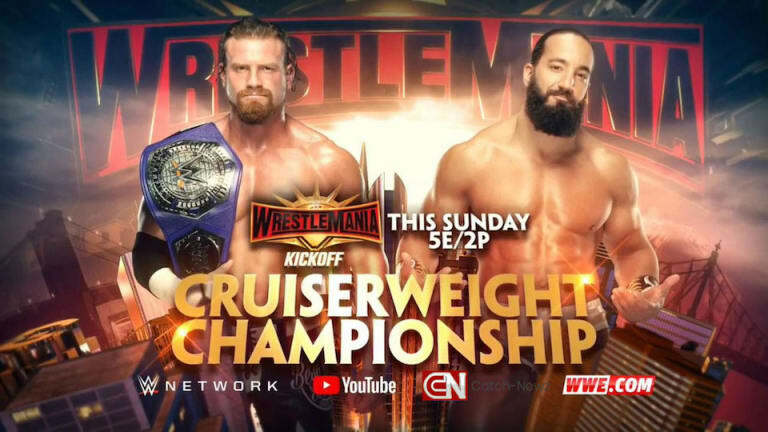 Cruiserweight Title: Tony Nese def. Buddy Murphy to win the Cruiserweight Championship by pinfall in 10:45. Women&apos;s Battle Royale: Carmella wins by last eliminating Sarah Logan in 10:18. RAW Tag Titles: Curt Hawkins and Zack Ryder def. The Revival to capture the championships by pinfall in 13:45. Andre the Giant Memorial Battle Royale: Braun Strowman wins the match by last eliminating Colin Jost in 10:21.